Family Tree Project: King Iron Works Creates a Custom Built Gazebo and Matches the Artistic Vision for a Client’s Family Home. Being a part of the design process for the cherished family homes of our clients is a true honor for our team at King Iron Works. In the past forty years, the King Iron Works family has created designs including iron doors, windows, stair railings, gates, and iron accents for our valued clients and their wonderful families. The custom wrought iron designs are a fabrication of the clients’ vision that will set the backdrop for memories, celebrations and milestones for years to come. One of our showcase designs is the recent Family Tree design we just created for the family home of one of our loyal and regular clients. This stunning project has definitely earned a spot in the King Iron Works Hall of Fame for its intricate details and gorgeous aesthetic. 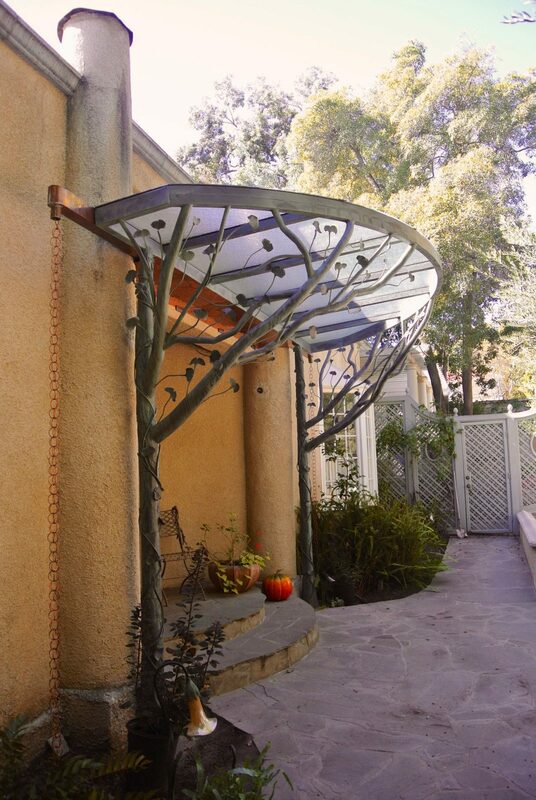 This Family Tree Project involved the design, fabrication and installation of a massive gazebo for the entrance of the client’s Los Angeles home. 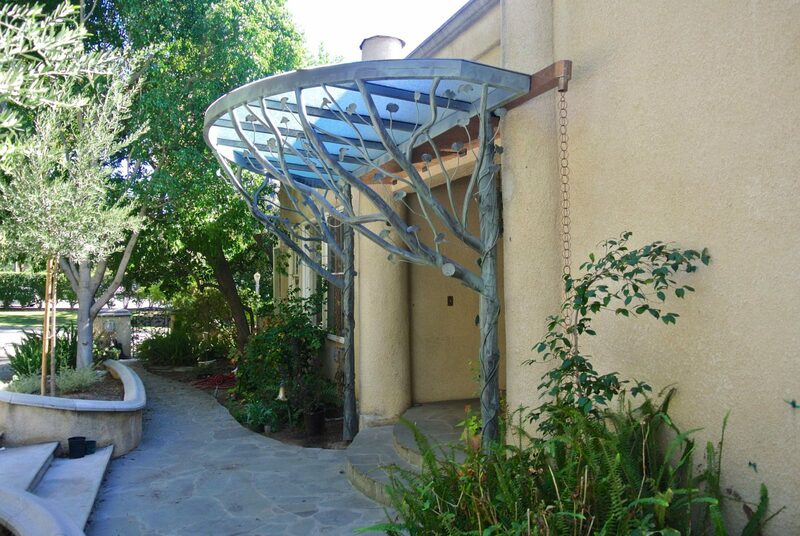 As the focal point of the home, this gorgeous gazebo was designed to coincide with the organic “tree theme” of the entire property. 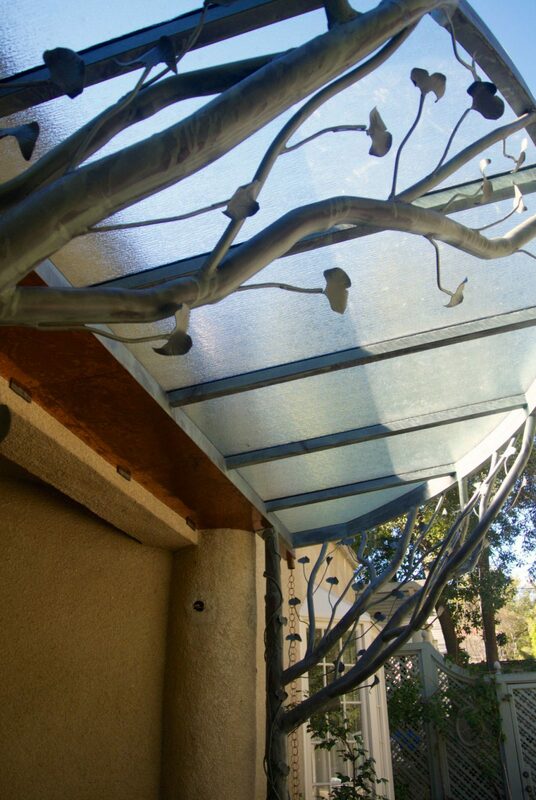 The natural design elements and accents throughout the beautiful home have been reflected and paralleled in the Family Tree Gazebo. The client had a distinct vision for this project. The King Iron Works design team worked very closely with the client during every step of the creative process. 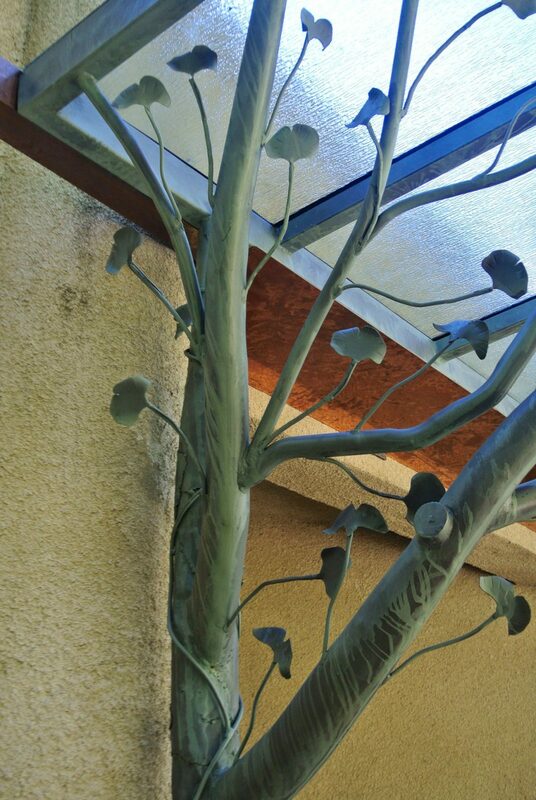 Some of the amazing and intricate details of this gazebo include branches and vines growing from the posts and legs of the installation, custom handmade leaves growing out of the vines, and textured posts designed to feel more like the bark of a tree. Rain glass was installed on the top of the gazebo and the entire gazebo was painted with three different colors in order to match the exact color and pattern that was imagined. This project is definitely a sight to be seen. The Family Tree Gazebo serves as a perfect example of the unmatched workmanship, precision, and superior quality that characterizes King Iron Works. Beyond the quality and stunning aesthetic of this custom iron gazebo design, the creative process of this project reflects the importance of the smooth and effective client relationship we hold at the forefront of our business. We believe that even a perfect finished product loses its value when the experience and customer service have been subpar. When a client has a clear vision of what they are looking for, we know that it is our responsibility to match this vision as much as we possibly can. In order to do this successfully, we make sure the process is as enjoyable as the final product. As a family business, we relate to our clients and understand the importance of building and embellishing a home for your family. With open lines of communication, organization and individualized attention, we ensure that each and every one of our clients feel valued and appreciated throughout their experience with King Iron Works, from start to finish. We hope the photos of this Family Tree Gazebo inspire you to watch your ideas turn into custom iron designs with King Iron Works. We truly treat our clients like family and look forward to expanding the family tree with new clients and creative project ideas.